An advanced fleet management solution, using multi-source data to enhance your business intelligence. The InTrans Advanced uses a flexible connected intelligence approach for CAN data aggregation, filtering, processing and event triggering. Extended features include security capabilities, basic and advanced driver behaviour (GPS-based), accident logging, recording and reconstruction. 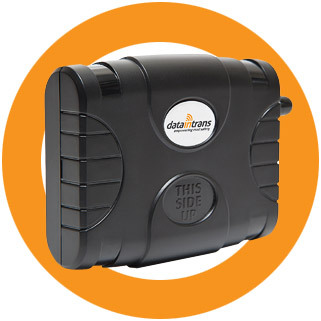 The InTrans Advanced filters real-time data based on a vehicle’s sensors and data received from the unit, triggers logic based on the rules defined via the CAN Editor and, as a result, generates events which are sent to the back-end and/or operate its I/Os. Direct connectivity and data analytics for the vast majority of vehicle data buses and interfaces, enabling a wide range of applications driven by the vehicle CANBUS data. Interface with the Bluetooth Extender accessory – supporting Bluetooth classic communication with ELD devices and BLE communication with the MultiSense devices. Variety of embedded algorithms for calculating total fuel consumption in a trip, based on different available CAN parameters, leading to increased ROI realization. DTC (Diagnostic Trouble Code) reporting logic over supported CANBUS protocol. Flexible and configurable manoeuvre and trip scoring logic. Includes on-board ECO and safety scores trip calculation, and online & real-time driver feedback display. Professional Services (CAN libraries) – Data inTrans offers complementary vehicle libraries, which include vehicle models and parameters sampled by our field engineering team. The libraries are updated and published on a monthly basis. Data InTrans professional services also include the configuration of the device’s data collection and triggering logic according to your defined use case and for quick time to market. Easy, low-cost monitoring of the fuel tank, including fuel consumption rate, detection of fuel frauds (fuel syphoning), improved management of refuelling time and place (gas station prices), accurate measurement of fuel efficiency, and so on. Fleet managers can easily monitor driver behaviour and improve their driving and vehicle operation skills in real-time by applying training plans. These plans can dramatically influence fuel usage and also reduce vehicle maintenance, thus increasing the fleet operational efficiency. Examples of related events: long brake presses; starting engine with the acceleration pedal pressed; and faulty use of air retarder. The InTrans Advanced enables flexible and configurable manoeuvre and trip scoring logic, including on-board trip ECO and safety scores calculation, and online, real-time driver feedback display leading to increased driver safety. Examples of related events: Driver seat belt unbuckled; hard right/left turn; driving when ESP lamp is on. Real-time vehicle performance profiling, including engine temperature, oil pressure, tire pressure, emission and fuel consumption are sent to the back-end with the DTC reporting in order to facilitate preventive maintenance. This enables an immediate reaction upon failure detection and dramatically reduces repair costs. In addition, it allows the workshop to receive advance data regarding the vehicle’s health status and in turn, helps fine-tune the periodic maintenance work. Furthermore, it facilitates the daily vehicle checklist which is usually done by the driver and now can be partially or fully automated. Examples of related events: deviation from engine coolant. BLE Mode- supports the communication channel between the InTrans Advanced and the MultiSense devices, which include a range of internal embedded sensors that create a Wireless Sensor Network (WSN) and sense temperature, relative humidity (in the MultiSense TH model), light, freefall, impact, movement, orientation change, door status, and more.